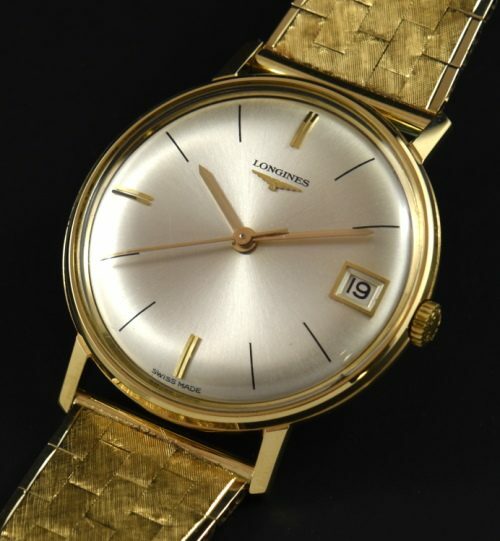 Here is a Longines 34mm. 18 karat manual winding watch with a solid gold 14k. gold unsigned bracelet having a great looking sculpted design. This bracelet will fit a 6.5 inch wrist at most. This is a super-thin at only 8mm. with a pristine original dial and signed LONGINES crown. The manual winding LONGINES movement was just cleaned and is accurate.